Choose your NEXO tire according to your Needs. For your safety, please carefully read the specification before installation and install the tire according to the steps of the installation manual. Please install new T-Bolts when reinstall the NEXO tire, do not use the same T-Bolts again. Please do not deliberately brake the bicycle to slide or drift under the high speed, it will cause abnormal wear and shorten the service life of the tire. Please avoid placing a heavy object on the tire and high-temperature exposure to extend the service life of the tire. Please keep the bicycle away from fire source, heat source, oil or chemicals, such as search light, camp fire, heater, oil, acidic, alkali materials or other harmful substances in order to extend the service life of the tire. Please do not riding on a high stepped road to avoid accidents. 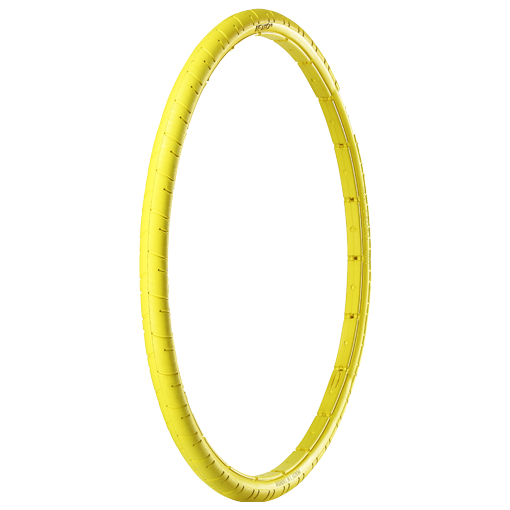 Please do not use the tire on metal trainers to prevent the tire from being softened due to heat so as to extend the service life of the tire. Tires are expendables, the abrasion degree and service life depend on personal riding habit; please periodically check the depth of the tire tread. Please keep distance from front vehicles and pedestrians while riding. It is suggested that the weight of the rider should not exceed 100 kg. If an accident occurs due to human negligence, the rider should assume all responsibilities. 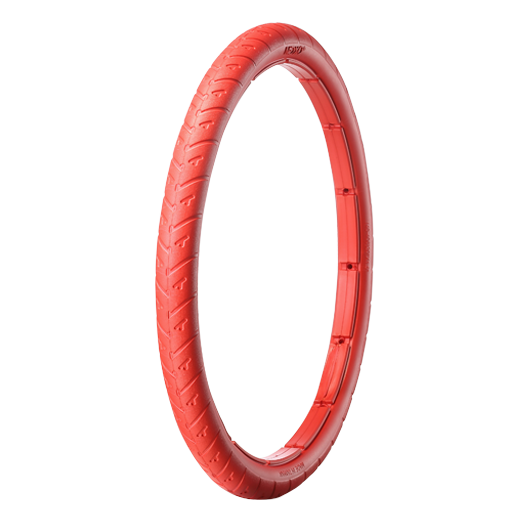 NEXO tire has passed JIS 5,000km abrasiontest. The result has revealed tread depth decreased only by 0.2mm and 11.4g (about 2%) tire weight lost. Also, the tread depth of training tires decreased only by 0.1mm and 5.1g (about 1%) tire weight lost. 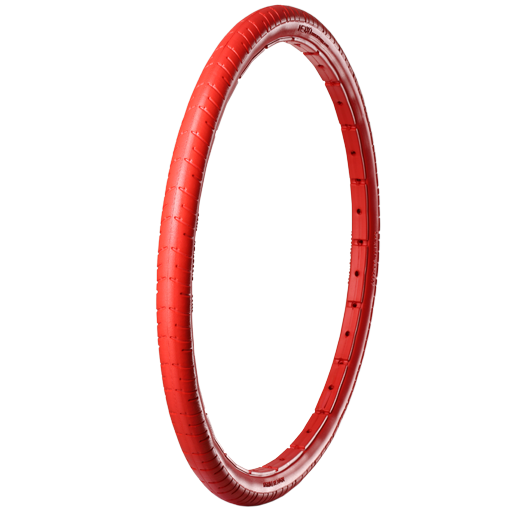 NEXO tire is made of NEXELL meterials, VP-MS001 &VP-MS003, has passed ISO 4210:2015 braking test; front and rear tire are safety forward under wet and dry condition. Preventing rim-out and tire twisted. T-Bolt, Otrajet's exclusive patented safety device：It keeps NEXO tires in the center of rims, preventing rim-out and tire twisted. NEXO tire is going to overthrow the image of the traditional tire structure by its one-shot injection technology. 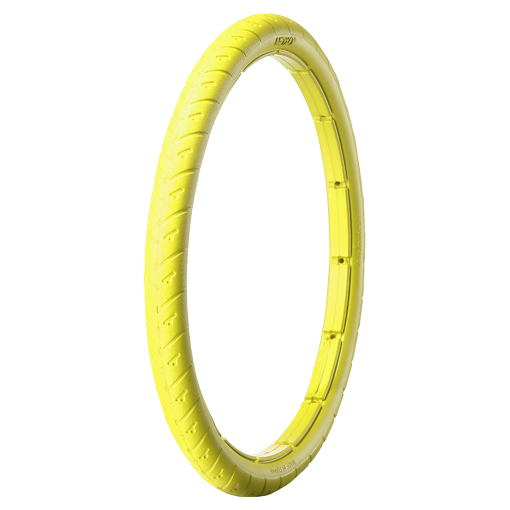 This technology allows NEXO tire to possess strong structure and never get flat! NEXO tires are made of NEXELL, a compounded macromolecular material innovated by OTRAJET Inc..
More than half of their interior is filled with N2, a stable gas, realizing the light-weight ideal for solid tires while maintaining the main physical performance of NEXELL material. 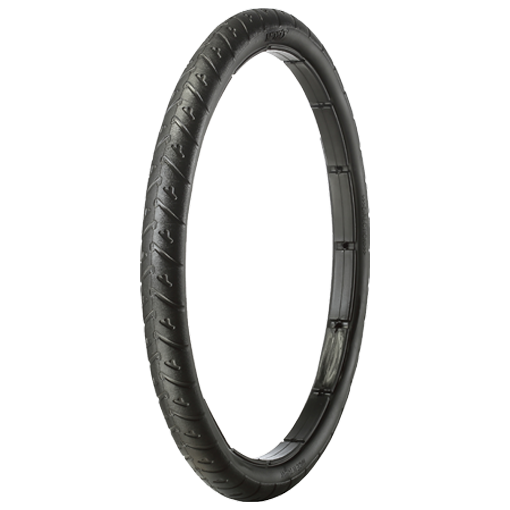 The weight is reduced by up to 40% compared with traditional burst-proof pneumatic tires, so biking with solid tires is much easier and more comfortable without the heavy weight. 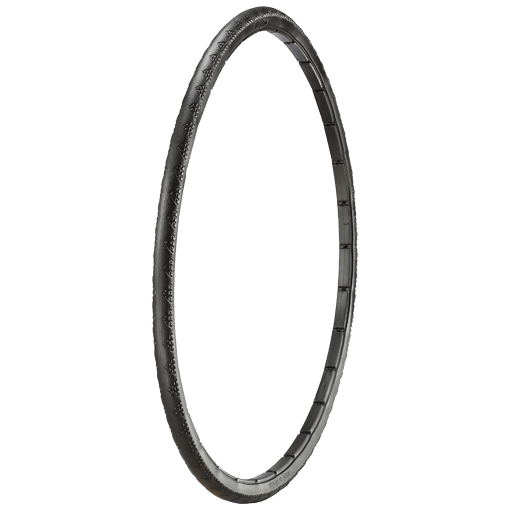 How to confirm your rim inner size?